The ProMariner ProNautic1240P 12V 40Amp On-Board 3 Bank Battery Charger is Industry recognized with the 2010 IBEX Innovation Award, ProNauticP employs our Generation 3 ProMar Digital Performance Charging Platform which combines all digital control and softwarebased power conversion technology with global energy management features. ProNauticP addresses the trend of incorporating and using more 12-volt electronics onboard today’s power, sail, cruising and sport fishing boats. Boasting twelve digitally-controlled performance charging profiles with finger tip selection, ProNauticP fully charges, conditions, maintains and re-conditions batteries while extending battery life and maximizing battery reserve power performance. ProNauticP is Power Factor Corrected with auto-ranging global AC input allowing all models to operate off a standard household power connection. Featuring dual digital displays for real-time display of actual charging voltage and amperage and AC power-on diagnostics with pass or fail status in addition to discreet fault indication for mis-wiring or adverse battery bank conditions. Designed to provide more time on the water enjoying what you like most… boating. Up to 12 performance & precision 4-stage charging profiles: Charge, Condition, Maintainand Re-condition. Automatic dockside power mode for 12 Volt DC lighting and appliances. Factory set for Flooded (Lead Acid) batteries. AGM, GEL and others are selectable including Lithium-Ion (LiFePO4). Auto-ranging (100-260VAC/50-60Hz) global AC input with reduced harmonic distortion allowing all models to operate off a household power outlet connection. ProNauticP consumes less power so more AC power is available on board. Automatically senses and distributes 100% of available charging amps to any one bank or combination of all banks. 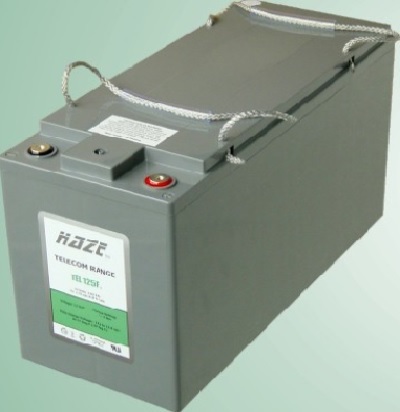 Automatically programs conditioning time based on discharge state of batteries. Automatically recharges batteries after 21 days of inactivity in the maintain mode, improving reserve power performance and extending battery life by reducing battery sulfation. Real time indication of wiring faults or adverse conditions that may impact the operation of a boat’s charging system. Quiet operation. Innovative front exhaust prevents restriction of air flow and cooling. Remote temperature probe included – Ignition protected and current limiting. Designed and constructed to: Marine ULc 1236, CE, CTick and FCC Class B. Be the first to review “ProMariner ProNautic1240P 12V 40Amp On-Board 3 Bank Battery Charger” Click here to cancel reply.